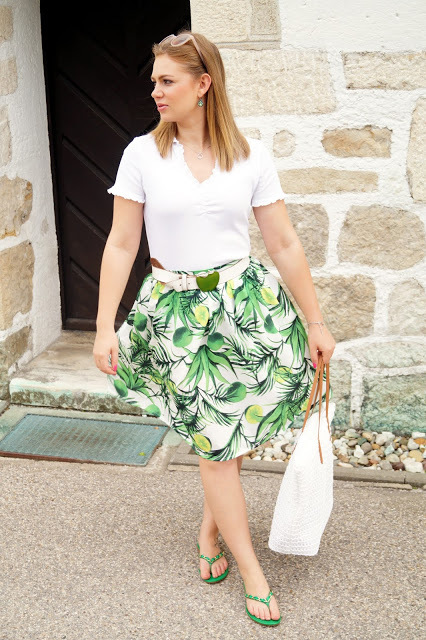 you all know how I love a great pattern and I was head over heels as I found this lemon leaf print skirt at the Rosegal online shop (you can find similar ones also under category green skirt). 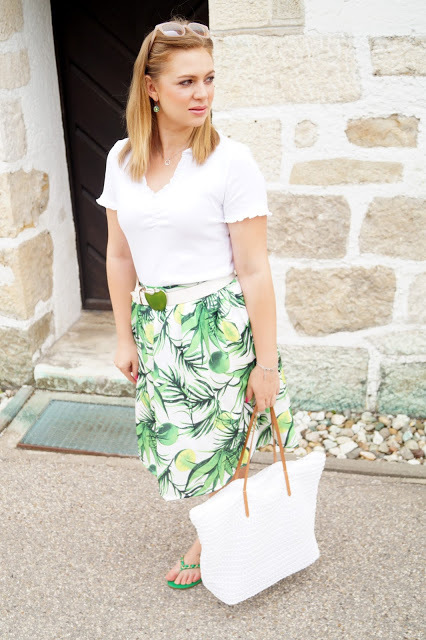 Not only that it has palm leaves (love this print, also got a bikini set made of it) it also has cute little limes. 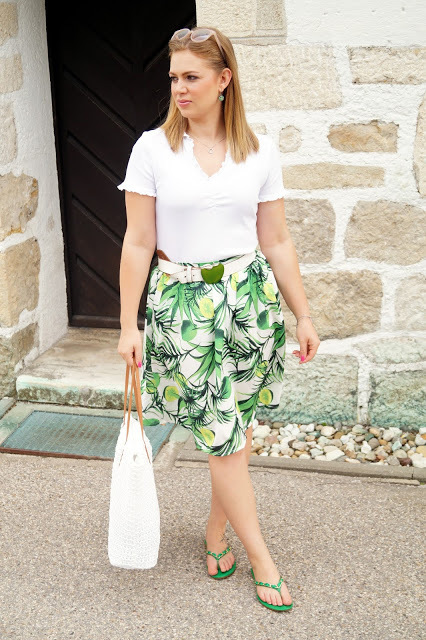 So in my opinion this skirt makes it to the ulitmate summer skirt. I personally love the length. It is really light and airy and the a-line shape is so flattering. It does not have an extra lining underneath but since it isn´t see through I don´t need an extra layer. I paired it with a white t-shirt from Boysen´s with this cute ruffle detail at the collar and this white leather belt with an apple buckle from LooneyBum. 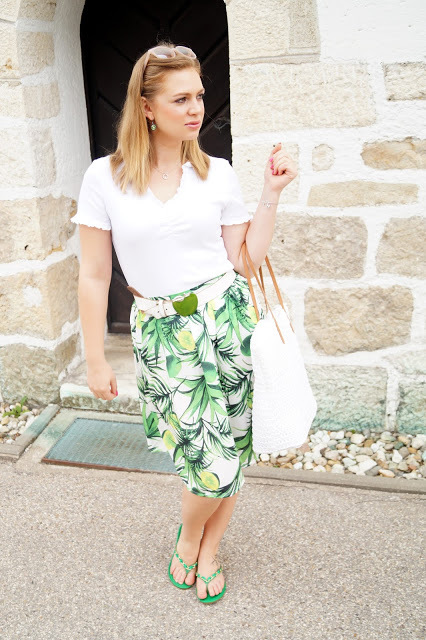 To round up the look I added a pair of flats in a bold green and a crisp white straw bag from H&M which is currently on sale for 8 € !!!! 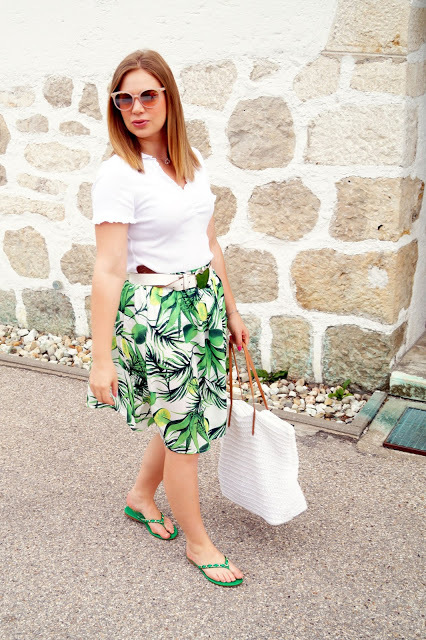 Disclosure: Thanks to Rosegal for sponsoring today´s post. All thoughts and opinions are my own. Outfit: Purple paisley dress / black leather jacket / two tone shopper….